Open-world games are notorious time-sinks. 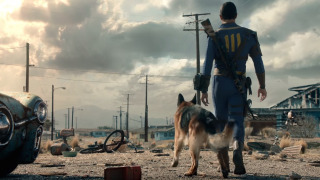 But one player in Russia was caught off-guard by how addicted he became with Bethesda's Fallout 4. He became so hooked that now he's suing the game's creators on the basis they didn't think to warn players just how addicted they might become. Sitting at 85 hours of playtime, there were a few points where I found myself addicted to Fallout 4's charm. But this individual definitely one-upped me (and probably you, too) by falling into a three-week marathon/blackhole, which cost him his health, his job and his wife. This man's life is in ruins because of his inability to unplug from the year's most popular first-person adventure and, in his opinion, Bethesda is at fault. He's suing the Bethesda, MD-based (get it?) game publisher for 500,000 rubles, according to RT, which converts to about $7,000 dollars. There's doubt that the company will buckle to his demands, as it has been making these sorts of content-packed games for nearly two decades. That, and the Entertainment Software Ratings Board (ESRB) doesn't demand that a company divulges its game's "addictiveness". That seems pretty hard to quantify, anywho. I'm curious as to how this player landed on the seven grand amount to sue Bethesda for. Surely, the loss of his wife, job and health cost him more than that, right? If only he could revert to an earlier save-state.